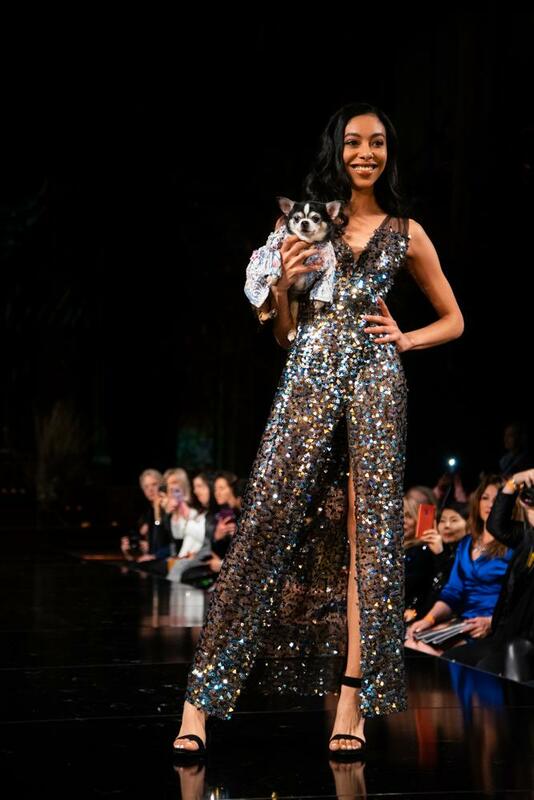 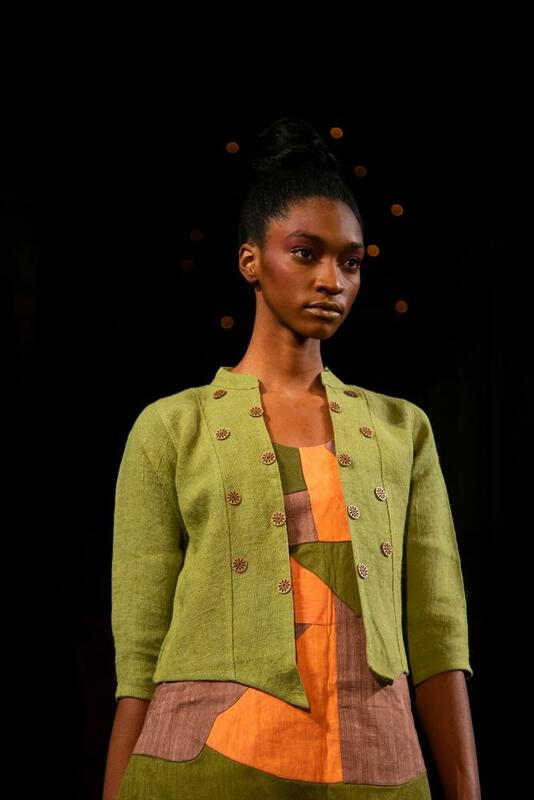 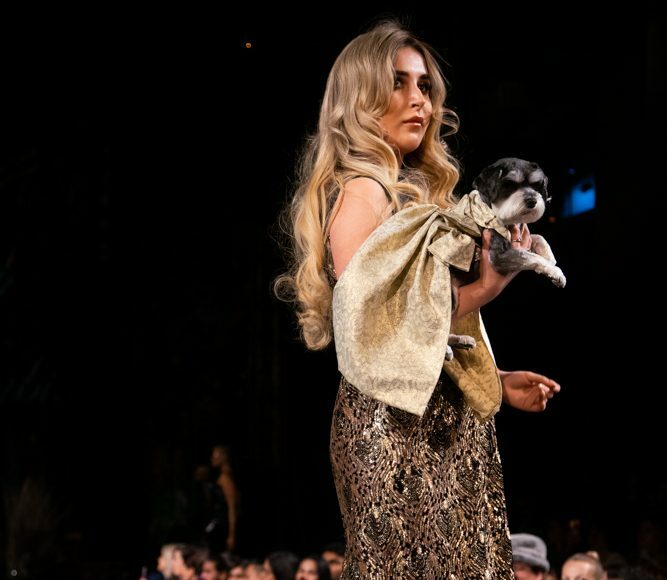 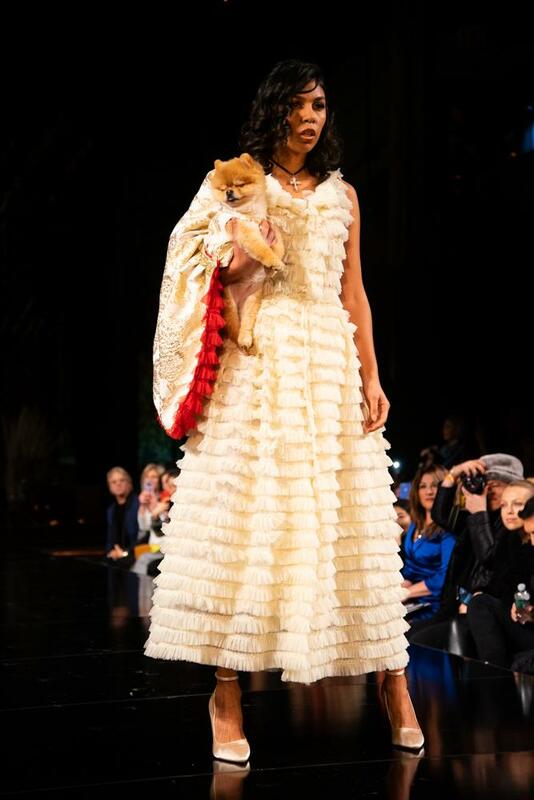 Canine met New York Fashion Week at the Anthony Rubio runway show hosted by the Angel Orensanz Foundation. 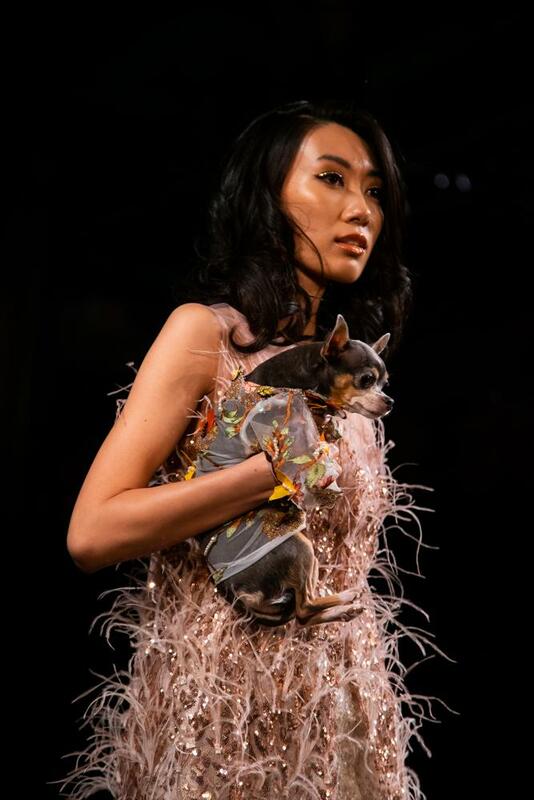 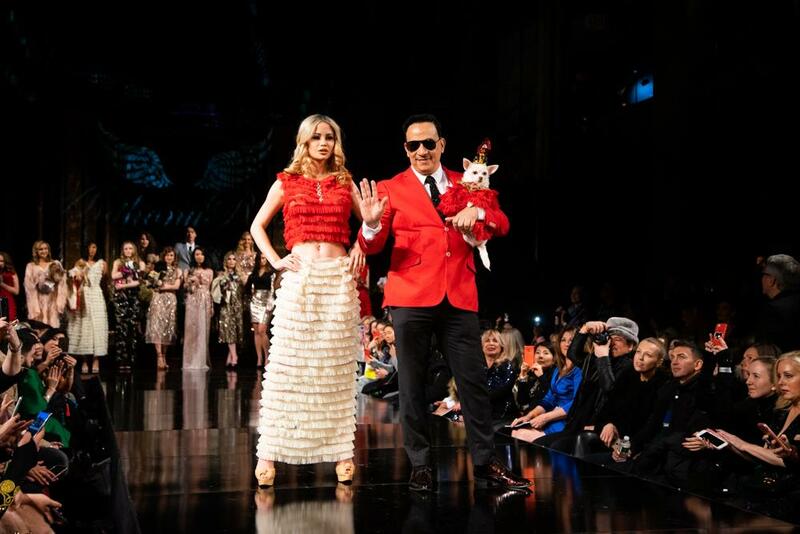 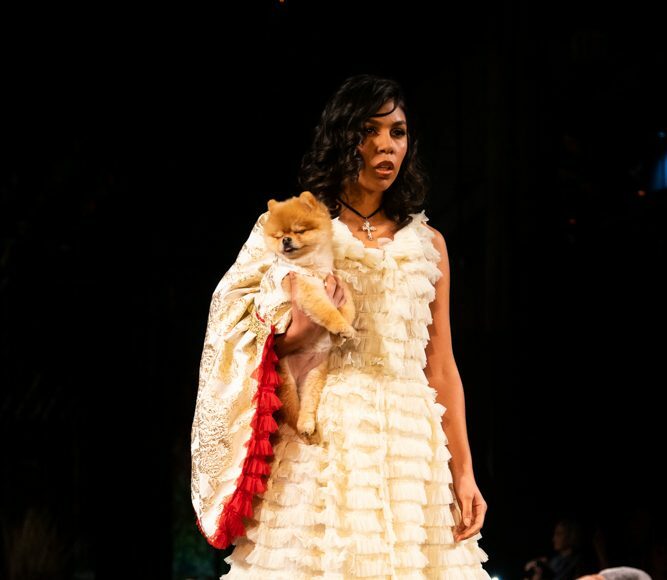 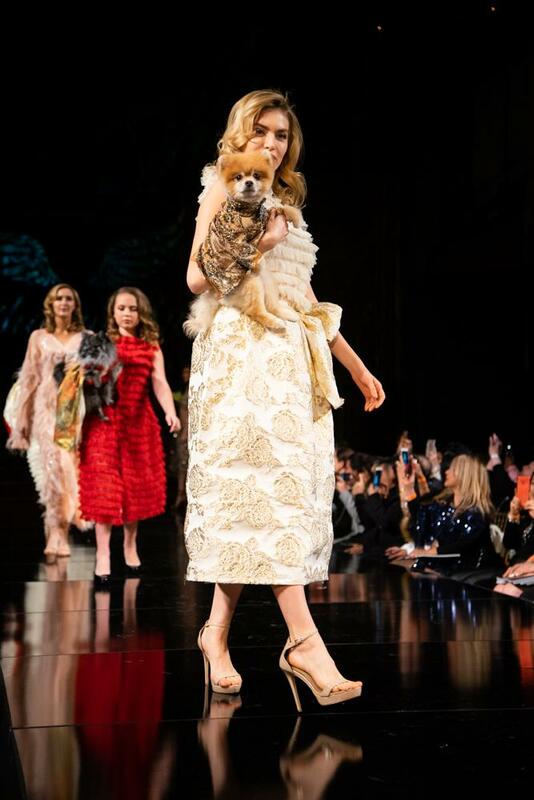 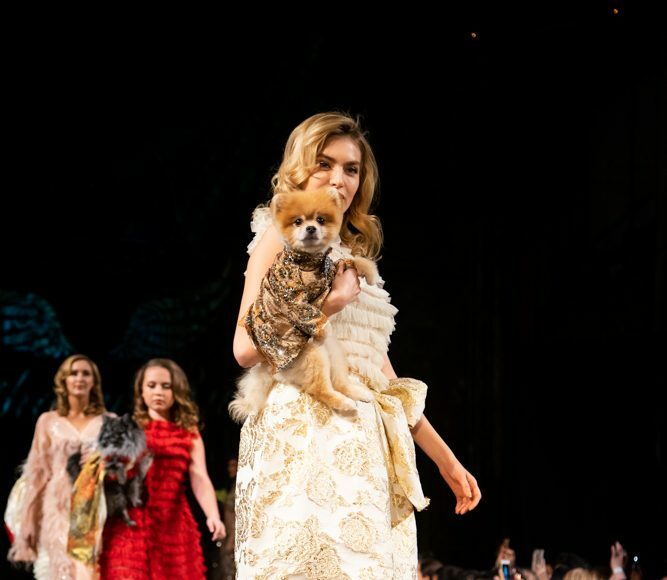 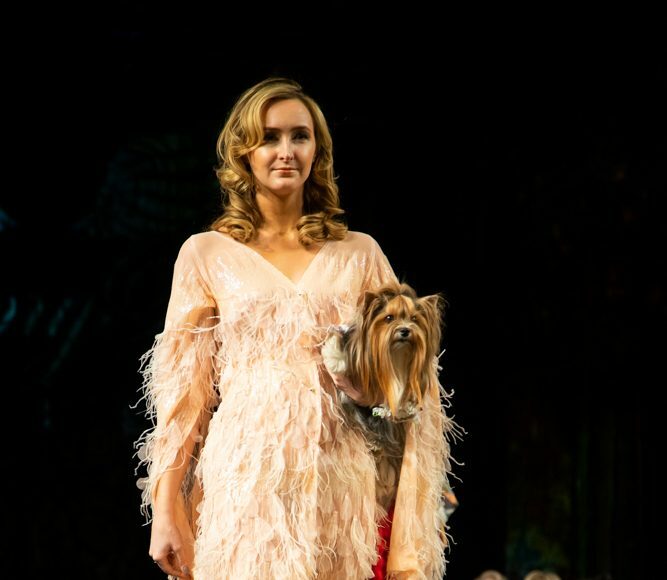 Models graced the runway with pooches in hand — both dressed for the occasion. 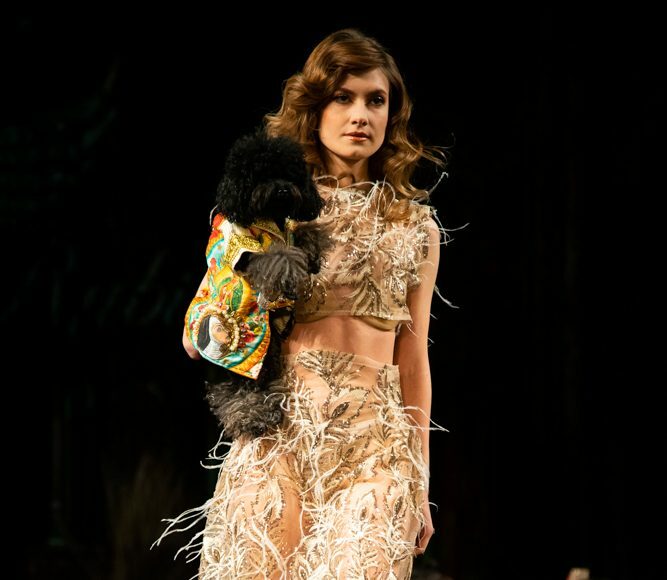 The undulating dynamic of the runway show started off with a bold, red crop top with a long cream-colored skirt. 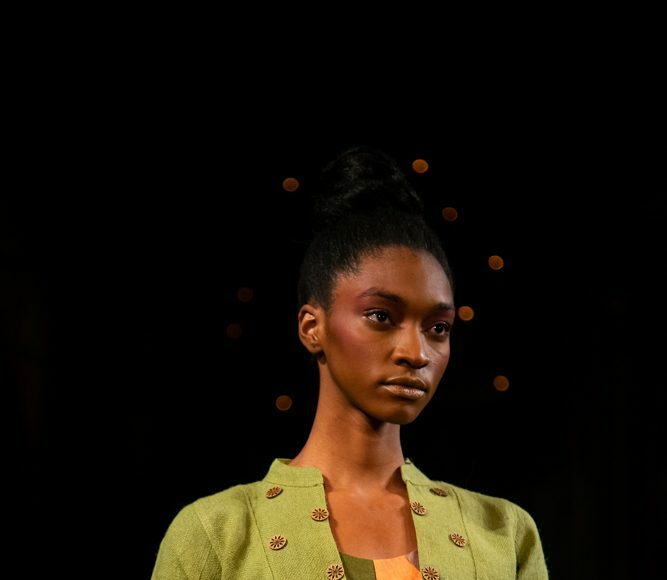 The color scheme quickly shifted to pastels and ended with a strong note of black. 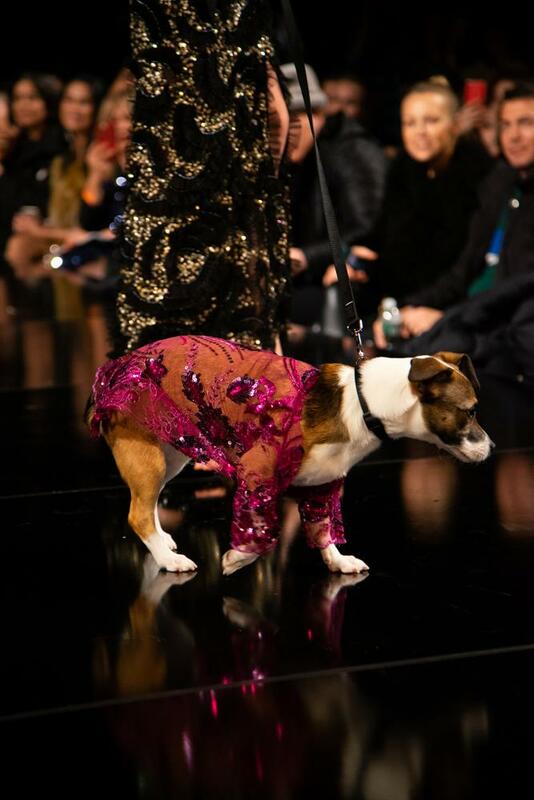 Like his previous seasons, Rubio made sure to stick to all things that glitter. 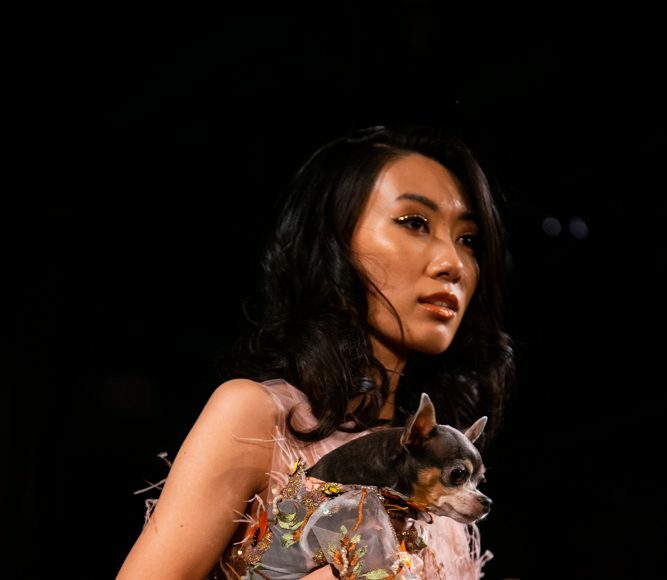 From sequin detailing on canine-wear to glitter eyeshadow and glossy lips on the female models, his Fall/Winter 2019 collection brought no surprises. 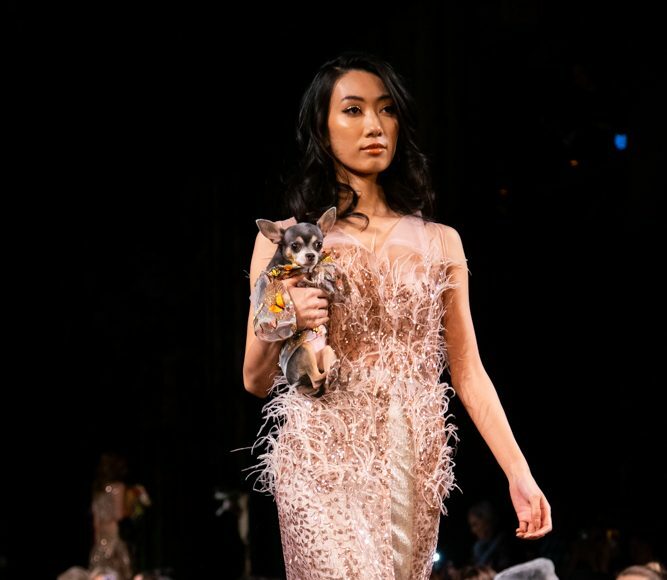 The collection also showcased Rubio’s signature use of tulle, feathers and mesh, alongside his familiar front, back and side splits on the dresses. 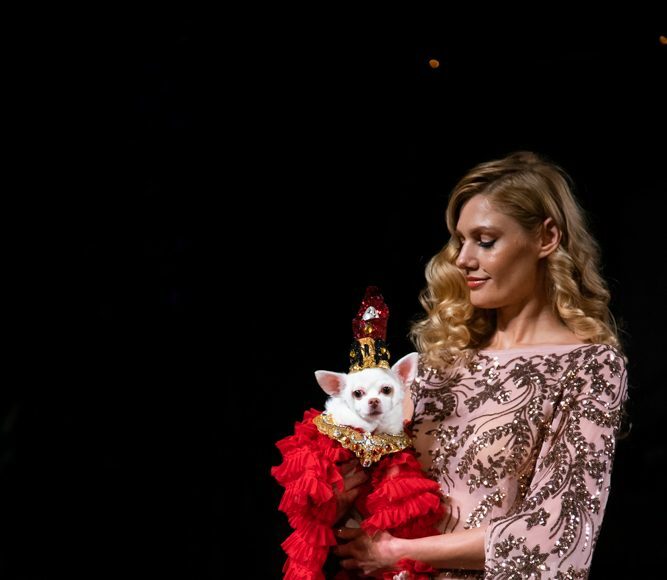 The canines dripped of luxury with custom fit capes, robes, and dresses taking the breath of the audience. 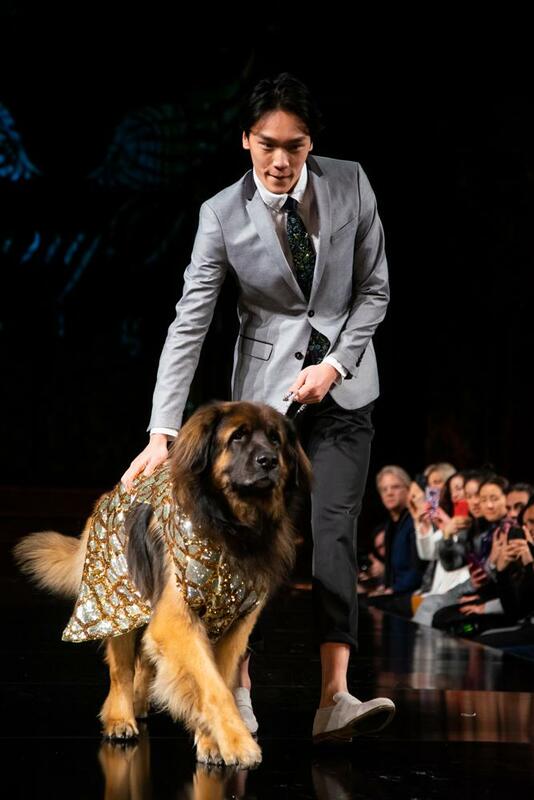 The most eye-catching look was the big, soft Leonberger robed in a sequin outlined giraffe print robe. 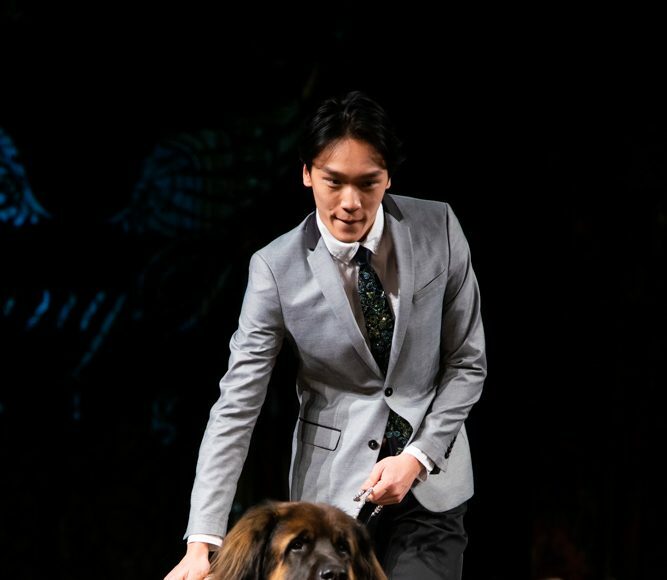 Alongside the canine was the lone male model of the runway, styling a sparkly green tie and a tightly-fitted gray suit with off-white loafers. 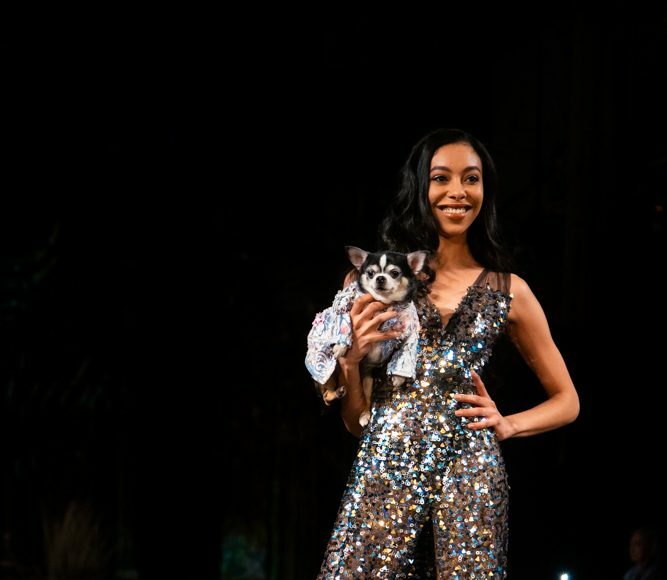 Overall, the Fall/Winter 2019 collection was reminiscent of past Rubio’s past collections, which executive designer Anthony Rubio may need to change in future seasons to continue his legacy of the first pet designer at NYFW.